Hiya guys! Thank you for all the well wishes. I'm slowly recovering and I'm just thankful I can walk and sit now. It's been nothing short of a nightmare these past two weeks and I have a lengthy recovery ahead of me. But if you know one thing about me it's that nothing can keep me down for long! Today I'm super excited to be sharing the latest Christmas stamping plates from Winstonia. I'm a huge fan of stamping, especially when I'm not feeling well and need a quick mani! I created three different looks using each one of the plates, so let's go ahead and take a look. 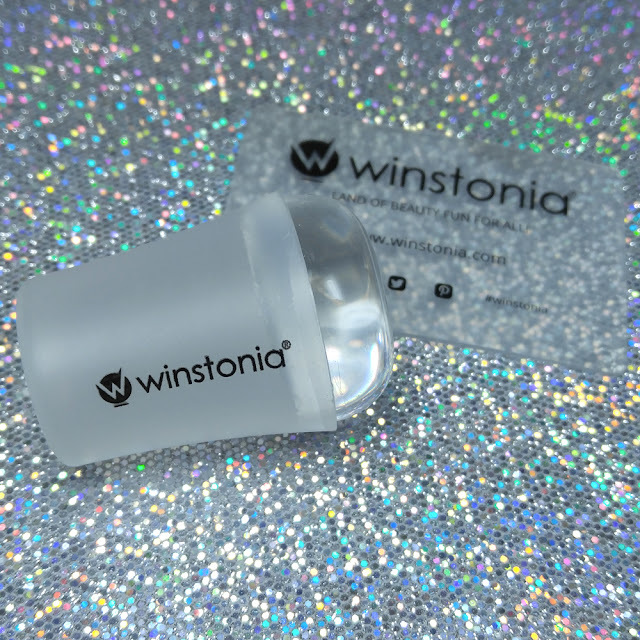 Each one of these Winstonia plates retails for $4.95 and the jumbo clear stamper for $11.95. Be sure to use my code ROSE787 and receive 10% off your purchase. The North Pole features an assortment of little festive characters, some lettering, and wreaths. I love using characters like these in manicures because you can end up turning them into really nice decals. Those little penguins are my favorite! As soon as I saw this plate I knew the first design I wanted to do had to have the sleigh scene on top. It's too cute! 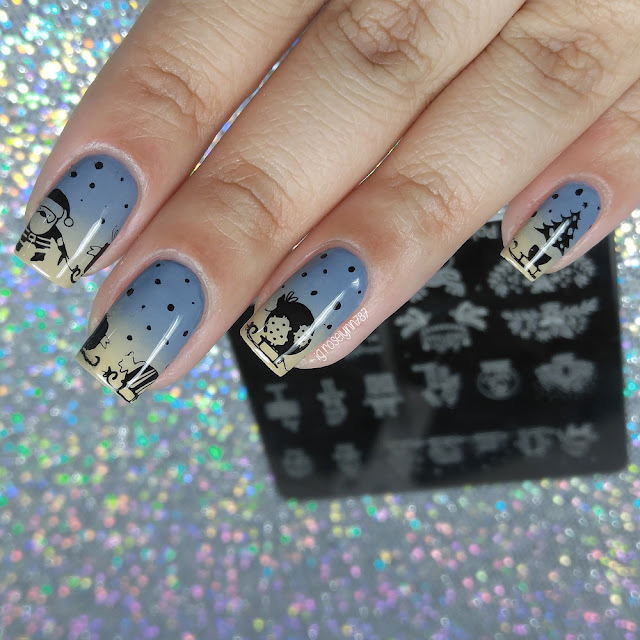 Thank goodness for a clear stamper, it made placement a breeze and I was able to connect the image along my four nails. I felt like it was missing something and so I ended up adding a few more snow dots for each nail. 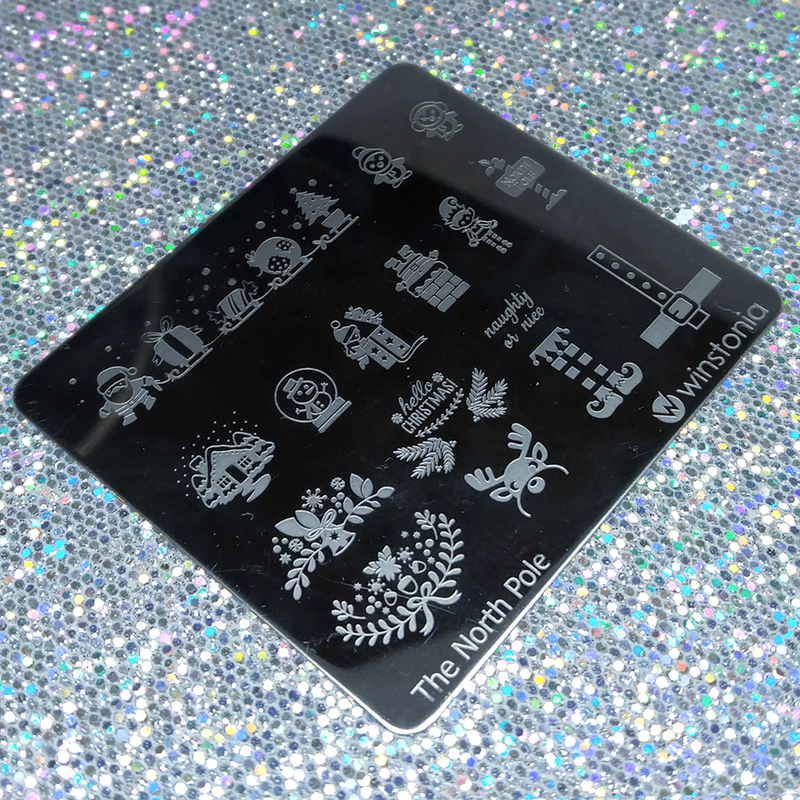 It gave it the perfect finishing touch and filled in where the stamped image couldn't. The Winter Wonderland plate features... well... a little bit of everything! 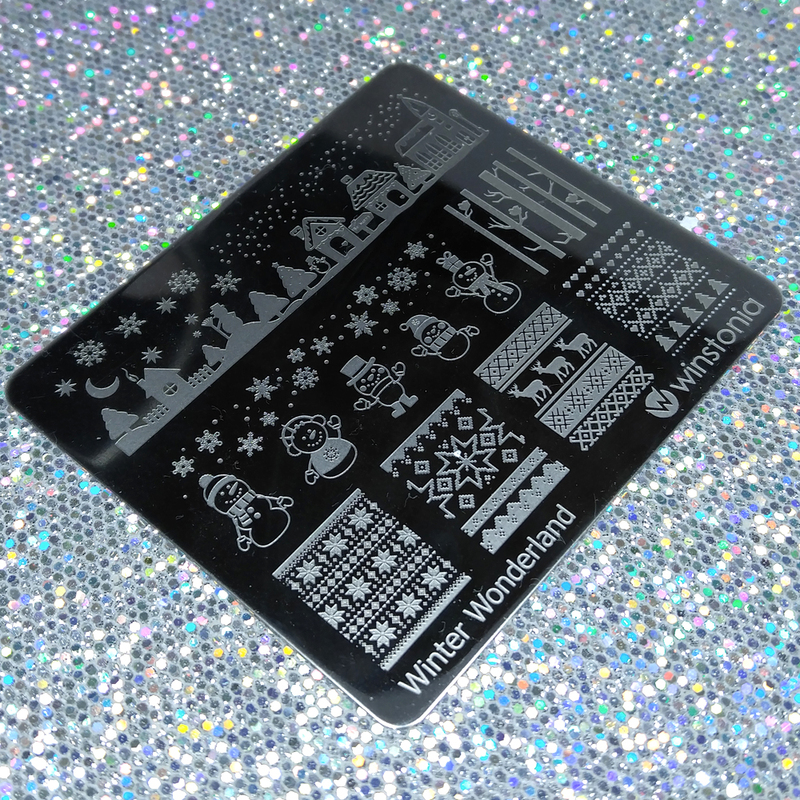 You get some Christmas sweater designs, some cute snowmen characters, and a whole wintry town scene. This plate is by far my favorite among the three for its diverse images. Definitely will be using this one again in the next few days. 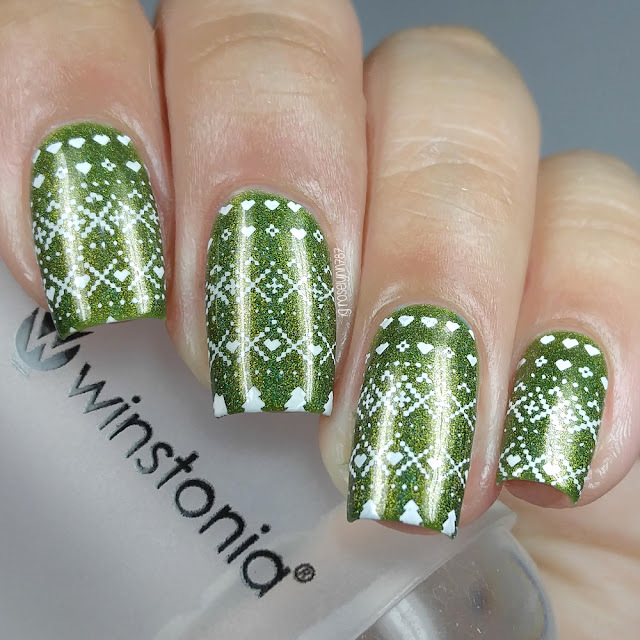 For this design I wanted to go for something simple and classic... an ugly Christmas sweater look. I went with a rich green base and stamped one of the four designs using white stamping polish. I was more than a little impressed with how etched all the small components of this design are. 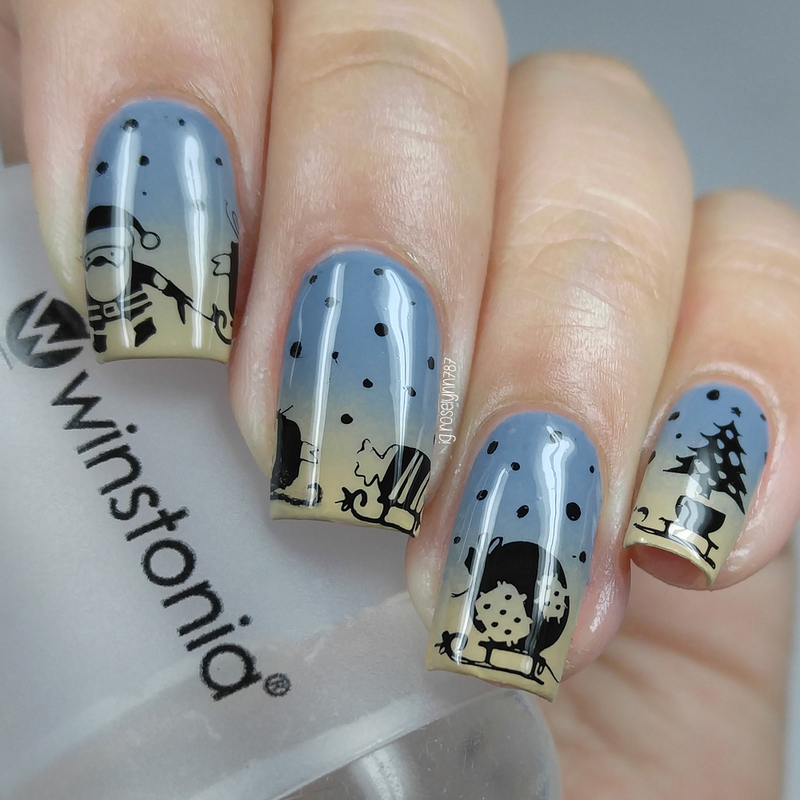 I only wish my nails were a little longer so I could have captured the imprint of the trees too! The Holly Jolly Christmas plate features an assortment of full coverage designs including lights, words, and cute little snowmen! And don't even get me started on the adorable Christmas sweater design, the small lettering is perfection. I chose to do a little something different and went for a metallic pastel base. I used five different shades, a white base, and using a makeup sponge I "smooshed" them on the nail. Such a fun technique, especially if you just want something unique. 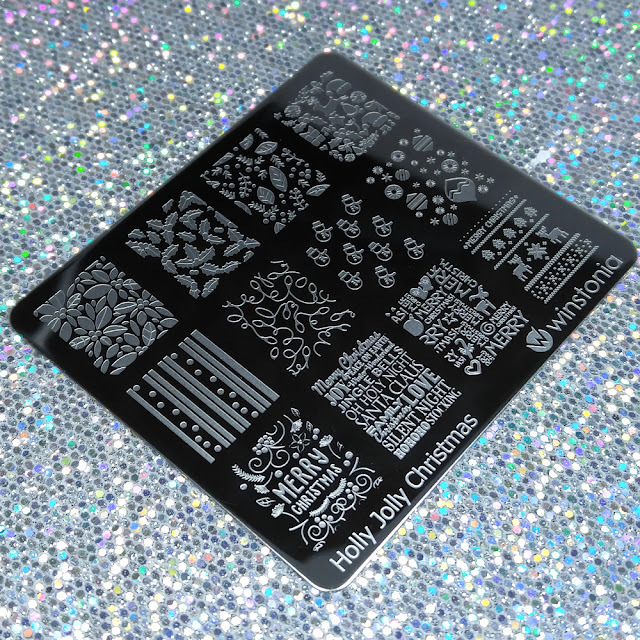 To finish the design, I used black stamping polish and decided on the poinsettias. 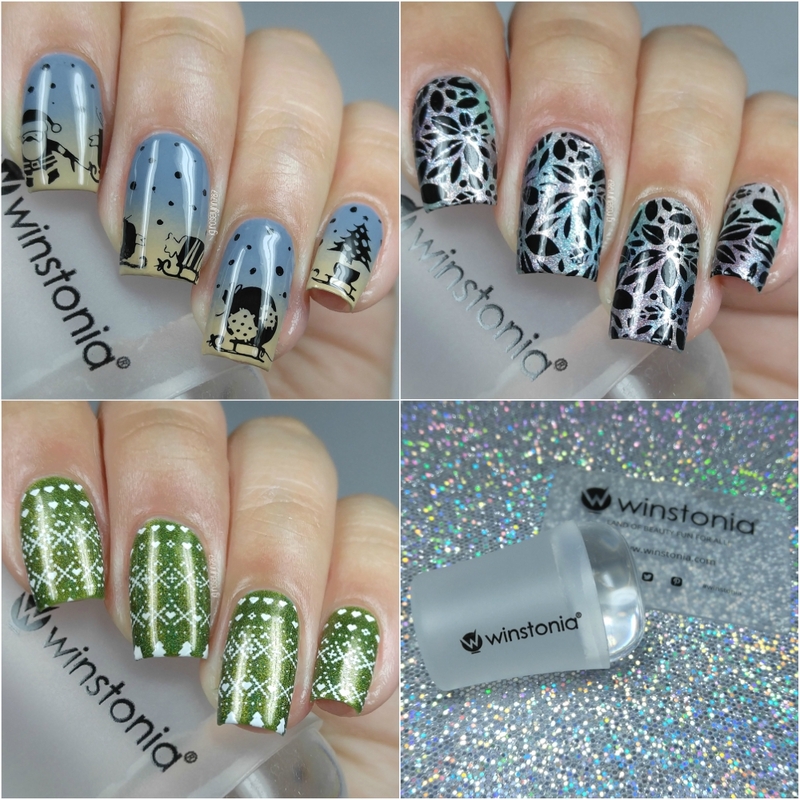 All these manicures were created with the help of my handy dandy clear stamper! I am a total addict when it comes to stampers, but I actually didn't own a jumbo clear one before this. Personally I love a marshmallow soft kind of stamper head, so I was thrilled to find this one was very squishy! Definitely recommend it if you're a fan of the squish-squish like me, haha. Once I'm feeling better from my back issues I'll be filming with this one so you can see it in action. Each one of these Winstonia plates retails for $4.95 - besides these Christmas ones there are a bunch more for other holidays and seasons! Honestly I'm pretty sure I have nearly all their plates, haha. Be sure to use my code ROSE787 and receive 10% off your purchase. So what do you guys think? Which manicure is your favorite? Let me know down in the comments!